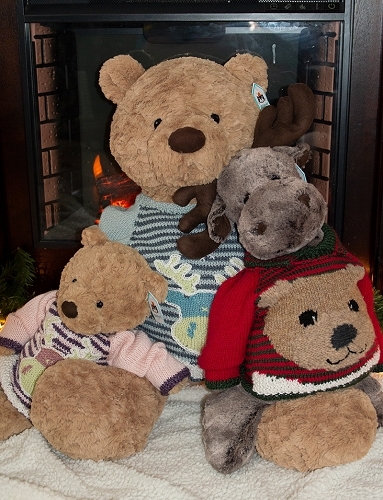 We also sell the matching Bumbly Bears to which this project is sized! Simply scroll down to find the link! Our wonderful Jellycat of London Bumbly Bears are the stars of the show. A favorite of princess Charlotte we couldn’t put Bumbly Bear down once we held it. We designed a series of team logo sweaters for them in sizes to fit children 6 months to 3 years. 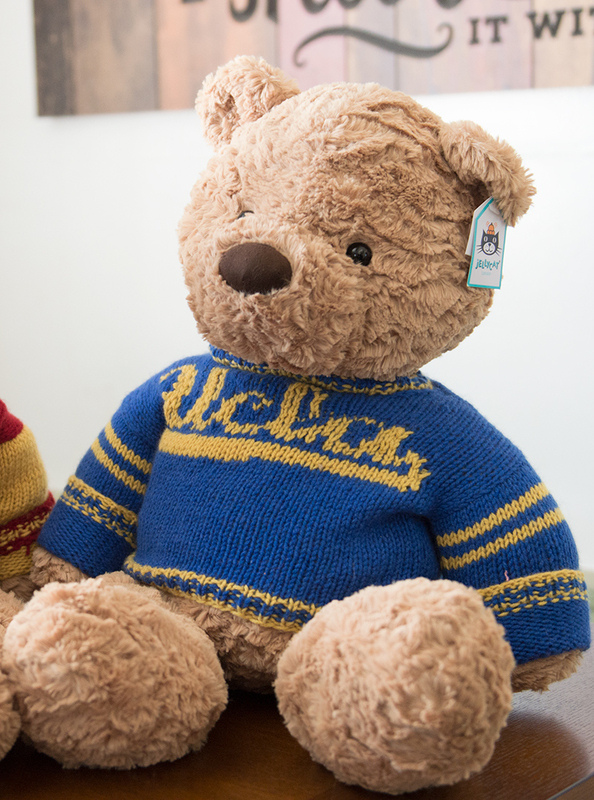 Spark up the team spirit for a deserving child of any age. 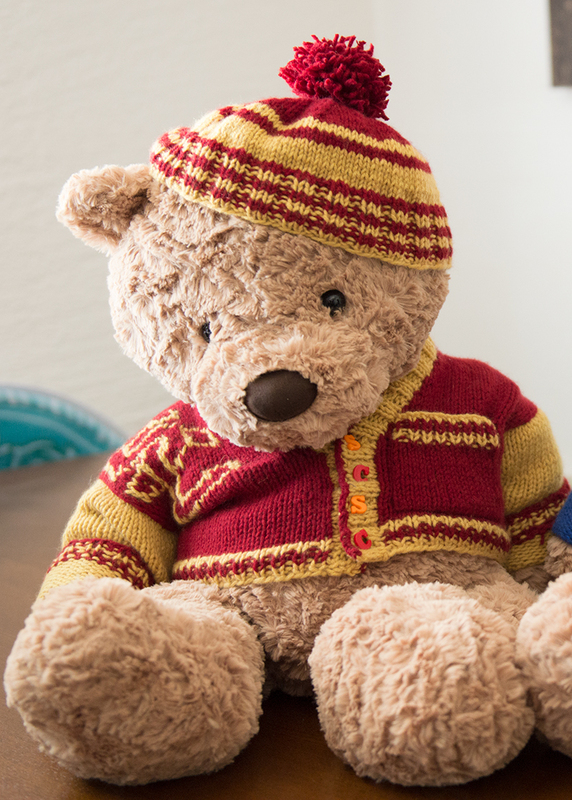 Make the sweater, and once the child grows out of the sweater it has a lasting home on this forever heirloom bear. We find college students like them as well. Something to cuddle with. Give us the team you want and the colors and we’ll make it all happen. Work them in Seisia Nordico, a lovely washable merino wool. They include hat patterns as well. We are in love.